It’s well known that storm damage can be especially bad ( expensive) when it comes to roofs. The of extreme weather incidents in the U.S. is on the rise. Unfortunately, the odds of damage to homes are higher, too. After a thunderstorm or tornado has cleared the area, you’ll find a lot of people crossing their fingers as they inspect their houses. Even if you know that your roof is likely to take on some storm damage, do you know what to look for? Don’t let the damage get worse because you didn’t know you needed help. There are some areas that are most likely to be affected after your home has gone through severe weather. 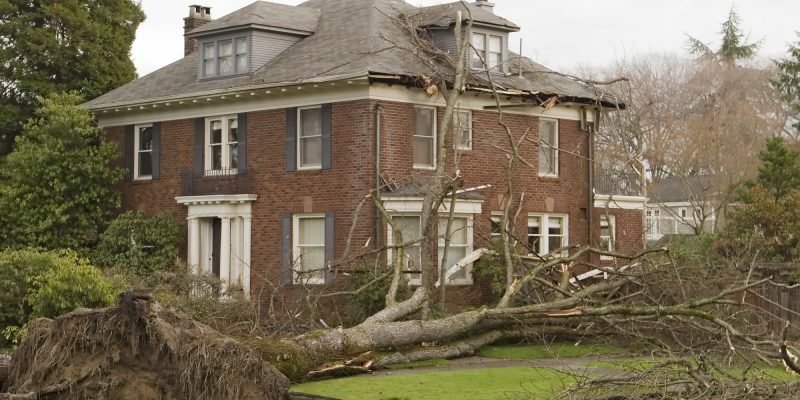 Read on to find out which six areas to check for damage after a storm. It might seem counter-intuitive to check indoors for damage to an external roof, but this is actually the first place you should check after a storm has rolled through the area. Go to each external room in your house. Do you see any damp spots on the ceiling? Do you see any water stains where the ceiling meets the wall? Of course, if you see water starting to leak, that’s a sign that your roof has taken on significant storm damage. You can keep assessing the damage outside, but your best bet will probably be to call in . There won’t be much more for you to do, since your roof could need to be replaced completely. If you don’t notice any water stains, breathe a sigh of relief. However, there still could have been some damage done, so you should still continue your inspection. Often, the most obvious storm damage done will be to your shingles. If your house went through a hail storm, for example, you’ll probably find a lot of cracked or dented shingles. These should be noted in case they become larger cracks or tears. Inspect your roof closely check the ground around you to see if there are any missing shingles. If shingles are missing, your roof is vulnerable to even more damage. Missing shingles are an obvious problem, but even if all of the shingles on your roof seem to be in place, there are still some issues you should look for. Are they all flat in place, or have some of them been bent out of shape? If your shingles aren’t lying properly, your roof will be prone to leaks. Finally, you might want to grab a ladder or some binoculars to see if the granules have been worn away by the storm. The granules on the shingles help to provide fire resistance, so if they’ve been worn away, you’ll need to take action. Depending on what kind of a roof you have, if you have an attic or not, you might have ventilation in your roof. Many homes in warmer areas have a roof vent to release hot air make it easier on their AC system. This seems like a pretty unimportant piece to check after a storm, but make sure that the roof vent hasn’t been bent out of shape or dented. Even if everything looks fine with your shingles, a dented roof vent could signal that there’s something else damaged you can’t see. You’ll need a ladder to get a good look at the vent, so take extra care make sure you have a spotter. Storm damage can affect your gutters, too. First, look to see if they’ve been partially detached from your home. High winds can pull the gutters away from the roof siding, causing even more damage than before. The wind can also bend them out of shape stop them from working correctly. If your gutters seem to be in place, make sure they’re not too clogged with leaves debris. A clogged gutter can’t do its job properly. Debris can pile up prevent water from draining, which could lead to even more damage. While you’re at it, check your windows as well. They’re not technically part of your roof, but you’ll want to know as soon as possible if they’ve been damaged during the storm. Flashing is the material that’s used over your roof’s joints to prevent water from seeping in through the cracks. Depending on the style of your roof, the flashing could be in a lot of different places. It’s most common around a chimney, around the edges of the roof, where two planes meet. Flashing is usually a metal like aluminum, but sometimes it can be plastic or felt. Depending on what was used for your house, you’re most likely to either see tears or buckling in the material. If you have a chimney, you should look for missing flashing that might have been torn away by the wind. You may have never seen the underlayment of your roof before, which is a good thing — you’re not supposed to. The roof underlayment is a waterproof material that’s installed underneath everything else. It’s meant to be the last defense against leaks in your home in case everything else is damaged. Since it’s so strong, it’s rare for a storm’s destruction to be so bad that it ruins the underlayment. With any luck, there won’t be too many issues with this area of your roof. You should still double check to make sure it hasn’t been damaged, though. If the underlayment is toast, you’ll probably need a whole new roof. Does Your Roof Need Repairs from Storm Damage? Look no further — Davis Contracting has over fifteen years of experience serving homeowners across the state. We offer free home inspections so that a licensed professional can assess any potential damage. If you do need repairs, we can help. 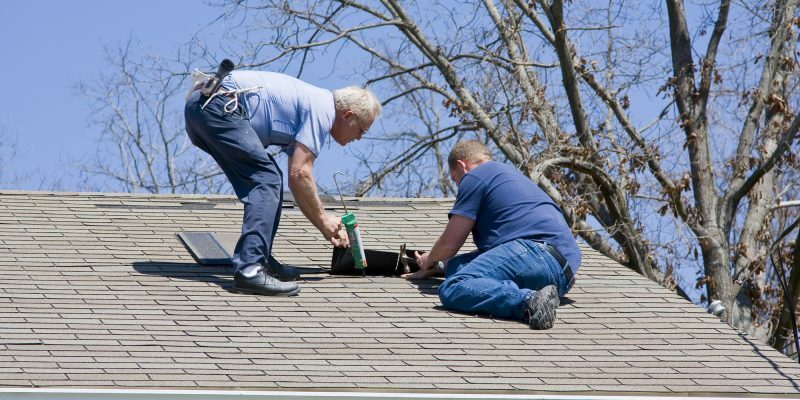 Our include replacing missing shingles, fixing wall chimney flashings, much more to help get your home back in shape. Ready to get in touch? Shoot us a quick message here or get a free estimate now by calling (864) 501-5208. Let us help you get your home back in perfect shape. 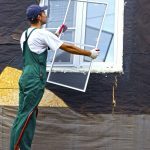 Across the United States, 36 million people will make improvements to their property this year. That’s more than a quarter of homeowners. Many of them will be considering roof repair replacement. 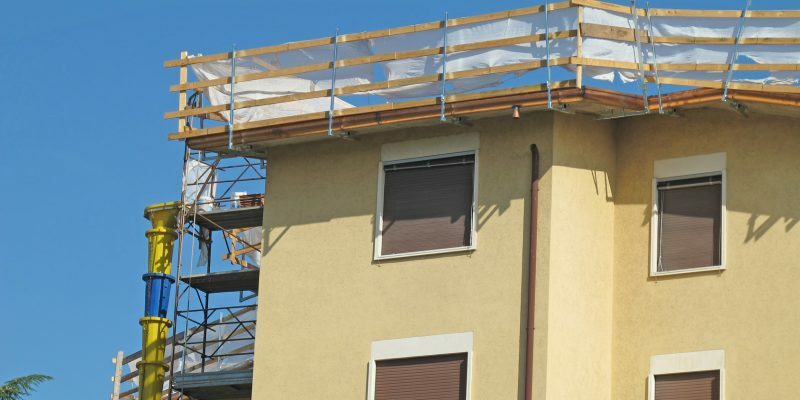 A recent study shows that roof replacement can be well worth doing as it typically retains 71.1% of the investment. That compares to bathroom remodeling at 65.7% major kitchen remodeling at just 64.9%. Read this article you will learn roof repair replacement for your home. Roof repair replacement are two sides of the same coin. They’re both extending the life of your house. You need to care for your roof because it stops water the weather from attacking the fabric of your home. A well-maintained roof reduces heating cooling costs. When thinking the cost of roof repair replacement keep in mind the energy maintenance costs. An investment in your roof may save you money in these other areas. Before we talk roof repair replacement. We first need to understand the causes of roof damage. Here are the four main causes. When a roof is not regularly inspected and maintained, small amounts of damage can become major problems. These problems are especially true if your roof is flat or has very little slope. Fierce or persistent winds can loosen roofing materials. A single storm can do enough damage to initiate a problem. Once a small amount of damage has occurred low winds can work away at a weakness in your roof. Various weather conditions can damage your roof. Is your roof adequately supported to stand the weight of the snow that accumulates on it? Do you live in an area with high snowfall? Is your roof sloped enough so snow does not stay on the roof for too long? Hailstorms and heavy rain can cause major roof damage. If you have low rainfall and little or no snow, don’t be complacent. Even sunshine and heat can damage roofing materials. Snow has the added risk of forming an ice dam. This is when the snow melts and refreezes on your roof stopping meltwater from draining away. The result can be the backup of water leaking into your roof and causing further damage. Roofing contractors use flashing to prevent water from penetrating a joint or a junction between different parts of the roof. It can be made from many types of material including plastic, roofing felt, or metal. The most common material is galvanized sheet metal but aluminum and copper are also used. Flashing creates a water-tight boundary. If it fails then it can result in water damage to other roof materials and even the interior of the house. Problems can arise around any joints. Regularly check the flashing and immediately address any damage. You can plug or patch small pinholes in flashing with roofing cement. Patch tears or holes of up to one inch with the same material as the flashing. Roughen around the hole with sandpaper or a wire brush and then clean it well. Use a patch of flashing material which is bigger than the hole and attach it using roofing cement. Seal the whole area with roofing cement. Larger areas of damage will need flashing to be replaced and perhaps the removal of several rows of shingles. If this is beyond your skills or if the roof is actively leaking then talk to a qualified roofing contractor. Always take care when working on a roof. If you do not have the right equipment or safety training a roof can be a very dangerous place to be. 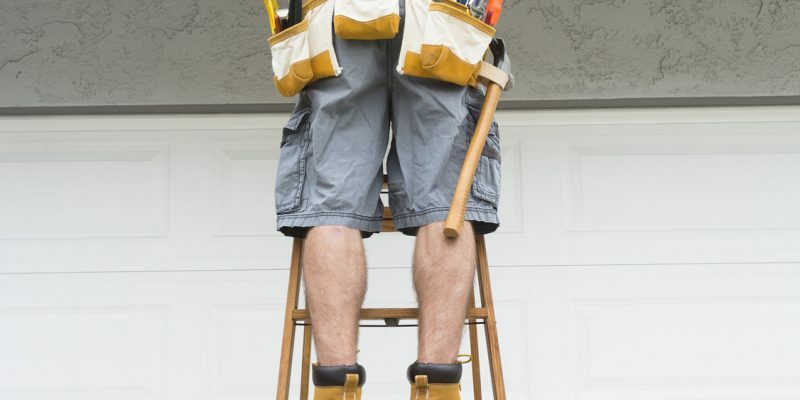 Falls are some of the most common causes of work-related injuries and even deaths. When thinking roof repair replacement from a cost point of view, a repair may seem attractive. It may be the best solution if the roof is in an otherwise good the repair is going to extend the life of the roof. If the roof is old or if it has extensive damage a new roof may be a better option. Consider having an inspection by a qualified roofing inspector. 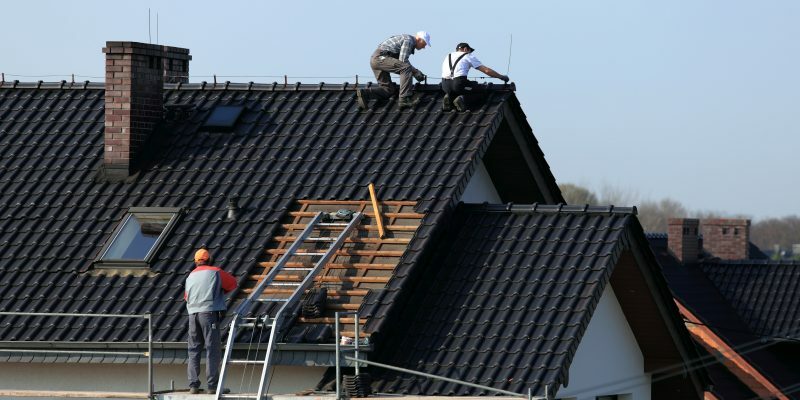 There are several things that affect roof repair replacement costs. Other roofing materials such as sheathing, gutters, flashing insulation. If your roof damage is because of wind or other weather damage check your roof warranty if you have one. The cost of roof repair may be covered. Does your homeowner insurance cover you for storm-related roof damage? If it does, all or some of the cost of roof repair replacement may be covered. Roof repair replacement may not be covered by warranty or insurance. The long-term cost of not acting may far exceed the cost of doing something now. As John F. Kennedy said, “The time to repair the roof is when the sun is shining“. Waiting could cause further damage your costs could go through the roof! A leaking roof in a rainstorm is no laughing matter. Call Davis Contracting to discuss how we can help. The roof of your home protects all of the precious contents inside. From family to pets belongings, everything that is most important to you depends on the protection that your home offers. Now imagine that a tree falls on your house in the night, or a strong storm tears part of your roof off. 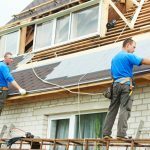 In such an instance, emergency roof repair may be necessary, if a professional can’t come right away, you may need to conduct a temporary repair yourself. Don’t put your home in danger. 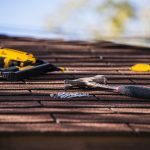 Read on to learn everything you’ll need to know in order to conduct a temporary emergency roof repair. When the unexpected happens your roof’s structural integrity is compromised, this calls for an immediate repair. For example, if a storm or hurricane with rain or hail is passing through your area, the rain or hail is entering your home through the damaged area of your roof, this would qualify for an emergency roof repair. Remember, a category one storm has winds strong enough to rip shingles off of your roof. , when in doubt, better safe than sorry! The time effort that you spend making a temporary repair to your roof will always be worth it in the long run. Water damage other destruction can occur from these compromised areas that will cost you much more time money later on if you don’t take the appropriate preventative measures. In order to understand how to accurately execute a temporary repair on a roof, you must first understand the anatomy of the roof itself. Don’t worry, it’s simple- we promise! Shingles cover the top layer of the roof. They are layered to protect the objects underneath. The most common materials shingles are made out of are asphalt, wood, metal, and tile. A structure that ascends above the roofline, the chimney allows smoke to exit a household fireplace. The ridge is the highest point of the roof if it is sloped. Sometimes, it will include a vent, which is meant to allow hot air to escape from an attic. The fascia is where rain gutters are usually attached. It runs horizontal and is attached to the roof’s rafters. The eaves are the sloped bottom edge of the roof that juts beyond the exterior walls. The soffit is the underneath side of the eaves. Often times, it is fitted with vents to get fresh air into the attic. These channels are attached to the fascia and are used to carry away rainwater. And there you have it! Now, when you’re on your roof or talking to a professional, you will be able to identify each part. And next, onto some step-by-step repair directions. So, we’re ready to talk the temporary repair. What’s the very first thing you have to do? Especially in emergency situations, panicking can lead to harmful mistakes. It’s also important to keep in mind that working on a roof in wet conditions can be dangerous. Make sure that you are implementing all safety precautions possible, if you feel unsafe at any time, discontinue the repair. Temporary roof coverings are a great way to protect your home until a professional can perform a full repair. Our recommendation for this type of covering is the classic, pervasive blue tarp. These blue tarps are large, tough, the little metal grommet holes on the sides make them easy to secure. Make sure that if you do use a temporary roof covering, it is tied down- not weighed down with heavy objects. Weighing a covering down poses the risk of the heavy objects sliding falling off of the roof. In order to get the tarp over your house, get creative. For example, you could tie some rope to a light object (like a small, soft ball) then throw the object over your home. Then string the rope through the grommets of the tarp pull the rope on the other side to slide the tarp up over. Just use caution when throwing anything around people or windows. All you need to do to secure the tarp is put some rope through the grommet holes, then tie the rope to some surrounding sturdy objects. Make sure the objects which the rope is tied to are very heavy, to avoid the objects being turned into flying weapons. A tree or a large, heavy trash can will work. 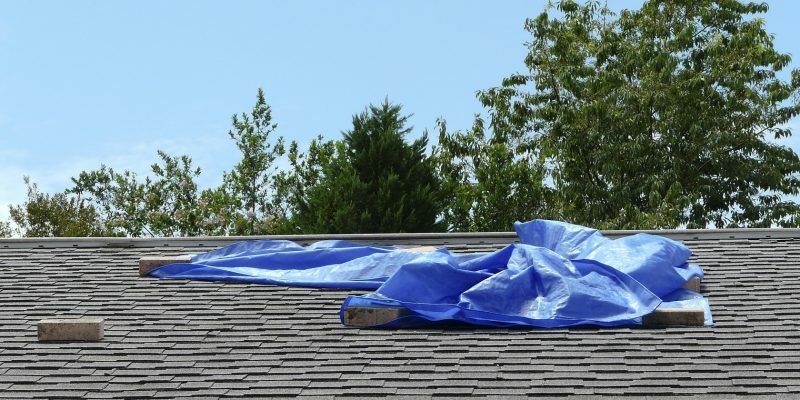 Keep in mind that the wind may be able to lift the tarp if it is tied to objects that are too high, or if the tarp is too small. Another option for a quick fix is using a bitumen patching compound. Here’s how. This type of compound is a gluey, messy substance that can seal a damaged area immediately. If you can reach the damaged area safely with a ladder or from the inside, you can use it to seal cracks, secure shingles, waterproof small areas. Because of the nature of this substance, make sure that you use a disposable construction utensil to spread it, we recommend wearing gloves as well. , as always, if your roof is very wet conditions are unsafe, we do not endorse attempting a temporary repair. Once you have performed the emergency roof repair, make sure that you your insurance company, if necessary. If the damage to your roof home is the result of a widespread, serious storm, be wary of scam artists (or “storm chasers”) who capitalize on fear following these catastrophes in order to cash in by offering repairs. 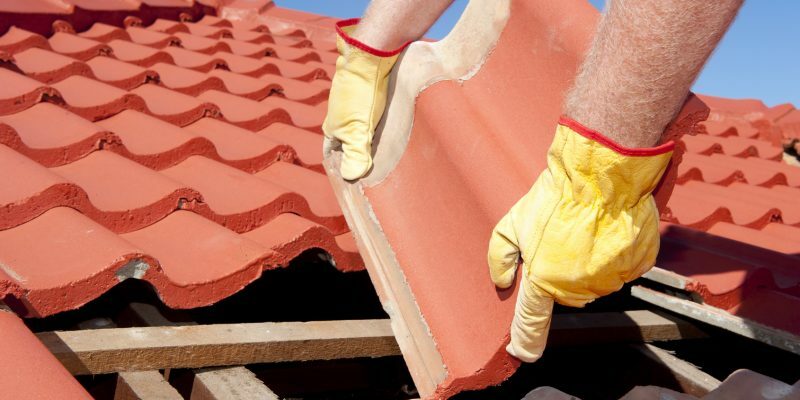 , of course, get in touch with a professional to repair your roof properly as soon as possible. When disaster strikes, just remember- the one priority is your safety the safety of those around you. Perform a temporary repair with a covering or sealing compound as quickly as possible, if it is possible, then a trusted specialist for assistance. Want to know more? Feel free to contact us anytime with questions or to learn more our roof repair services . We’d love to hear from you! Is your roof leaking or showing signs of damage? In this case, it may be time for a free roof inspection. If you’re lucky, you might not need an entire roof replacement. The average cost is around $6,600. For commercial buildings, it’s $5 to $10 per square foot. 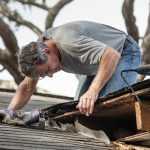 Unless your roof is severely damaged, you should be able to fix it. In general, roofs last for up to 30 years. Take the time to assess your options before buying a new one. Not sure what to do? Read on to find out more! Does Your Roof Need Replacement? If you notice any of these signs, get a roof inspection. This costs around $200 depending on your area. However, you can get it for free. There are plenty of contractors offering free roof inspection. After assessing the damage, they will tell you how much the repair will cost. The total price will include building permits, labor, roofing materials, profit, old roof tear-off. Just like everything else, roofs are prone to wear–tear. Extreme temperatures, hail storms, old age contribute to damage. The more you wait, the more you’ll have to pay for repairs. Before requesting a free roof inspection, make sure you actually need one. Leaks, paint peeling, water stains on the ceiling are common signs of damage. Most issues are visible with a naked eye. However, you might lack the experience needed to spot these signs. A skilled contractor can easily assess your roof come up with a repair plan. First, take a look at the shingles. Are they cracked, curled, or missing? Also, check for dark spots signs of dirt. If you notice anything unusual, ask for help. Roofs don’t last forever. If you’ve had the same roof for over 20 years, it’s time for an inspection. Beware that old roofs are more likely to get damaged. On top of that, they may not be safe. The shingles could break injure people passing by. If you notice water stains running down interior walls, your roof might be the culprit. Check both the ceiling walls for moisture. Most leaks start small get worse over time. The sooner you get your roof fixed, the better. The roof offers perfect conditions for algae growth. These plants love heat moisture. If you see algae on the roof, call someone to have a look. Don’t try to clean it yourself as it may be dangerous. You could fall get injured. Check the vents, chimneys, skylights for cracks breaks. Look for leaks in the roof. In older buildings, flashing is made of tar or cement. Its role is to seal the roof seams from rain bad weather. If there are any signs of damage, get a metal flashing system. Granules in the gutters are not an issue if you just got a new roof. However, if your roof is over 15 years old, this could be a problem. Once the granules deteriorate, your roof becomes prone to damage. Get a free roof inspection to spot any issues that may occur. If your roof is sagging, there could be a structural problem. Even though you’re not in danger, the damage can get worse. A sagging roof can have a variety of causes, such as framing or structural issues. Faulty roof materials rotten sheathing may be the culprit too. If the roof carries too much weight, it’s more prone to wear tear. With a free roof inspection, you’ll know exactly what causes the trouble. Getting it fixed on time will prevent further damage. For instance, if your heating costs are increasing, the warm air may be leaking out through the roof. A professional can spot this issue make the necessary repairs. Getting a free roof inspection will save you money bring peace of mind. Yet, this preventive measure is often overlooked. Those who provide this will check the roof exterior interior. They may also look for signs of moss lichen, missing shingles, rust spots on flashing. A free roof inspection can also help detect chimney cracks, improperly seated nails, damaged downspouts. The roofing contractor will also measure attic ventilation perform thermographic readings. After a careful examination, he will suggest maintenance repair projects. Most contractors provide a free estimate. They can also offer advice on how to take care of your roof. To keep your roof in good , perform an annual inspection. Do it after every storm to make sure no damage has occurred. Unless you have your own repair team, hire a professional. Even though you can tell a lot from ground level, it may not be enough. If you need to replace or fix the roof, search for qualified contractors. Ask for references get several quotes. Compare multiple providers before making a choice. Ask their license previous experience. A damaged roof could cost you a fortune. Don’t wait until it’s too late! Contact Davis Contracting today for a free commercial roof inspection! We’re here to answer just that! The constant sunny weather lack of snow in South Carolina may make it seem like the homeowners here have it easy. But did you know that Greenville gets around 50 inches of rain per year? That’s higher than the national average. It means that Greenville homeowners are especially susceptible to storm damage. Roofs are integral to the safety foundation of our homes. 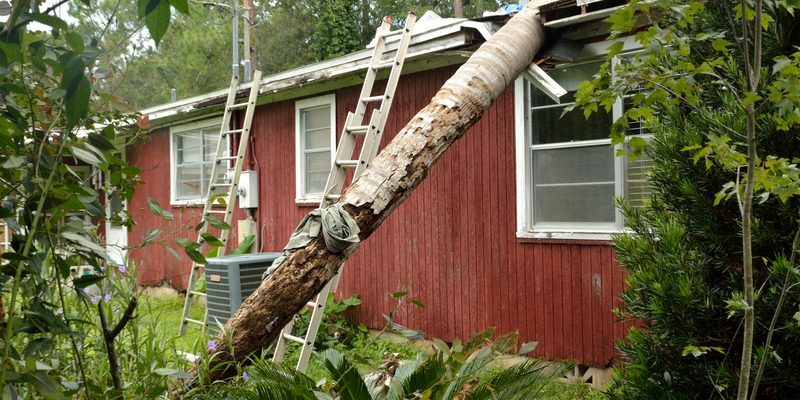 In this article, we’re going to talk how South Carolina homeowners can avoid roof damage. Don’t let your roof succumb to short-term long-term damage! Gutters drain rainwater away from your home. For them to do their job, they need to be properly cleaned from time to time. When gutters clog with leaves debris, excess rainwater can accumulate on the roof. This can cause serious problems. You could be dealing with leaks damage to the interior exterior of a home. Clogged debris pose as fire hazards, as well. It can also weaken the foundation of a house. It can even cause roofs to collapse completely. Repairing roof damage can cost thousands of dollars. Serious problems like roof collapses can exceed tens of thousands of dollars. Clogged gutters also attract pests, rodents, and insects. They can lead to mold and spore growth. This can be a serious health hazard to your family. It depends on how many trees are in your yard. Yards with more trees means that more leaves and debris can wind up in your gutters. The most important time of year to keep an eye on your gutters is in the fall and spring. However, they can still clog in the winter. Since it doesn’t snow that often in Greenville, clogged gutters aren’t much of a threat in the winter. But it’s still a good idea to check them from time to time during the cold months. Cleaning gutters is a task most homeowners can do themselves. But the job can be dangerous if gutters are located high up. It can also be dangerous if your yard isn’t level. Without a sturdy ladder, you won’t be able to clean your gutters alone. That’s where a professional comes in. They can clean your gutters and check their durability for a reasonable price. As we mentioned, leaves and tree debris are the main cause of clogged gutters. Homeowners with many trees in their yard have to especially stay on top of their gutters. But excess trees in a yard can cause other roof damage. During high winds, branches can fly off and hit your roof. They can loosen the shingles or tiles off your roof. They can also damage other areas of your home. Though it’s not common in Greenville, frost can accumulate during the winter. When this happens, tree branches are at a greater risk of falling onto your roof. To prevent roof damage caused by tree branches, it’s important to trim your trees. This is easier for shorter and smaller trees. But it can be more difficult without a sturdy ladder or level ground. From time to time, you should grab your ladder and check your roof for damage. Again, this will be difficult without a strong or tall enough ladder. However, it’s important to do. Check your roof 2-3 times per year. The best time to check your roof is after a thunderstorm or windstorm. It’s crucial to check it before and after hurricane season. When you go up on your roof, check it for damaged shingles or tiles. Also, look for missing shingles or missing gravel. Replace any damaged/worn out shingles or tiles. If the nails on your shingles are loose or improperly installed, they can cause damage to your roof. They can also fly off and cause damage to other areas of your house. Additionally, check for surface bubbles, blisters, or cracks on flat roofs. Trapped moisture or air can cause these, and excess sunlight can exacerbate them. You should also check the flashing of your roof. The flashing is important because it directs the flow of water away from openings into the house. It needs to be in good so that water flows away from the house. Fixing roof damage like blisters or cracks can be challenging if you don’t know how to. It requires cutting away the damage applying layers of new membrane material to the area. The worst thing you can do is to ignore existing damage. Eventually, the damage will become so bad that you’ll need the help of a professional. You can end up spending thousands of dollars to repair the damage or install a new roof entirely. A vented attic in any climate is necessary. But in South Carolina, a vented attic can be the best thing for your home during the hot summer. A vented attic forces hot air out of the attic and helps cool it down. In turn, it helps keep the rest of your home cooler and puts less strain on your air conditioner. Though it doesn’t snow often in South Carolina, it’s a good idea to ventilate and insulate your attic. Because it rains so much, an insulated attic can expel moisture and excess heat. It won’t release so much heat that it will cause frost or snow to melt and cause water leaks. But insulation will prevent ice dams from forming on the roof altogether. Poor ventilation can also further damage to loose shingles. During high winds, poorly-ventilated roofs loosen shingles. Talk to a professional roofer whether you need to install better insulation. Depending on how old your house is, your insulation or ventilation system may need to be replaced. 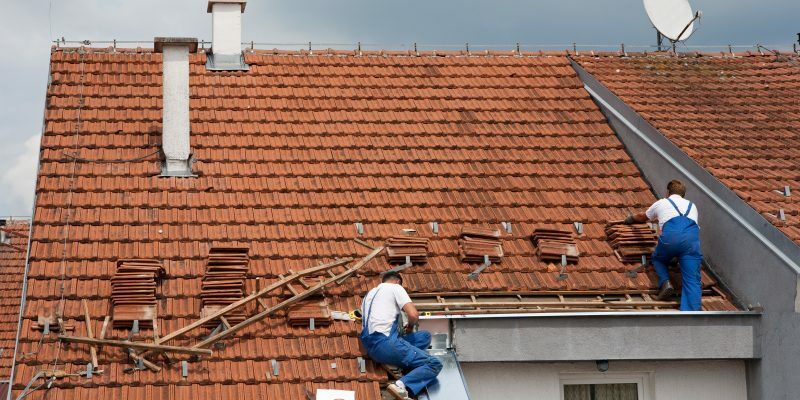 In any case, a professional roofer can determine the next best course of action. Avoid & Prevent Damage to Your Roof Year-Round! By keeping your gutters clean, trees trimmed, your roof in good shape, you can avoid damage to your roof. While you can do your part, sometimes you can’t control damage on your roof. In an area that’s as susceptible to storm damage as Greenville, serious roof damage is a common problem. Not sure if your roof needs professional care repair? Davis Contracting for your free estimate today! Click here to learn more about roof repair.